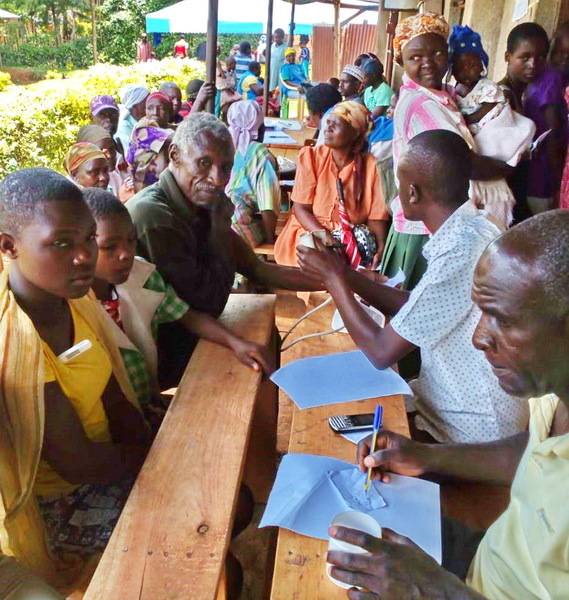 Community Health Volunteers was set up by Gabriel Masundi. Before starting CHV, Gabriel was a bird guide, like his father before him. During his work he visited homes around the edge of the Kakamega forest. There he was shocked to see the number of people who had contracted jiggers (Tunga penetrans) – a parasitic insect that burrows into the sole of the foot, where it grows causing itchiness and pus-filled sores that often become infected. He is passionate about trying to protect the birds in the forest and also about the health issues in his local community. We started working with CHV in 2016 and in that first year we funded seven one-day mobile clinics. In 2018 we supported a total of 52 mobile clinics with 111,861 patients being seen for a general healthcare issue and 16,483 women choosing to have family planning (30,467 CYP). As with all our partners, the work done by the community health volunteers, working door to door before a clinic happens, is crucial in helping more women understand the benefits of family planning. A big effort is also put into letting the community know a mobile clinic will be operating on a certain date. This includes a public address system mounted on a car which visits the area for two days before the clinic arrives, announcements at church services, posters displayed around the region and encouraging head teachers to inform their pupils to tell their parents. 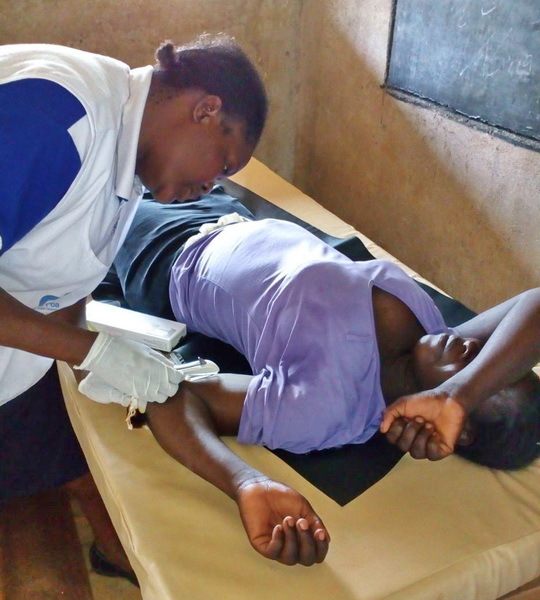 As well as treating many health ailments the clinics also test for HIV/AIDS and cervical cancer. The American Government provided free testing kits for HIV/AIDS and in 2018, 58 positive cases were found. The Kenyan Government provides free anti-retroviral drugs. Cervical cancer screening is relatively new, and while some county health departments stipulate it must be carried out, others don’t. 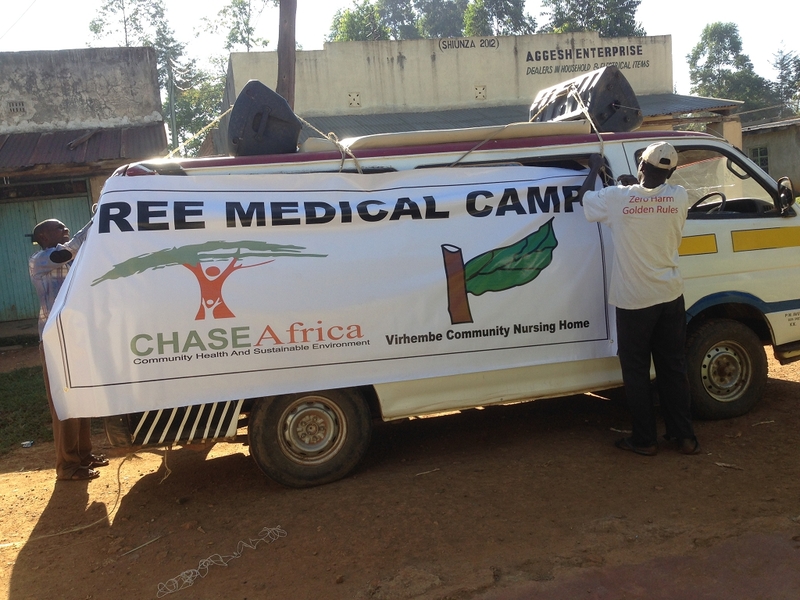 In 2018 the CHV mobile clinics identified 118 patients who needed to be referred for treatment in a county hospital.